In Only One Life, mother-and-daughter team Jackie Green and Lauren McAfee invite you to join the company of women God is using to change the world. Through vivid portraits of women of the Bible, women of history, and women shaping the world today, you will discover how God multiplies seemingly small daily offerings of faithfulness. Come and see your own story reflected in the lives of women such as Mary Magdalene, the first witness to Jesus’s resurrection; Catherine Booth, an early apologist for women’s rights and co-founder of the Salvation Army; Christine Caine, a contemporary speaker and human rights activist; and other ordinary women who have done extraordinary things, including Harriet Tubman, Queen Esther, Lottie Moon, and Joni Eareckson Tada. "Only One Life is an encouraging read that confirms our significant role as women in the present day, as well as in history. The message is a powerful reminder that each decision and aspect of our lives shapes the future. It is refreshing to read these vivid stories of female impact!" "Jackie and Lauren have done a fantastic job telling the stories of courageous women who’ve inspired us for generations. Don’t miss the invitation to read this book and leave an inspiring legacy of your own. You are already more influential than you think!" "Amid daily news of injustice against women, minorities, and children, Jackie and Lauren introduce us to real-life answers and the women who represent these answers. I honestly could not put this book down and will be using it as a reference for years to come." "Every women has the unique privilege and power to shape, mold and empower the next generation. There are host of young ladies waiting to receive the spiritual baton that can only be passed to them from the hearts and hands of their mothers, aunts and mentors. 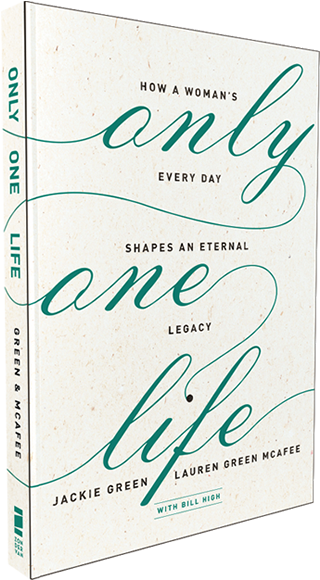 Only One Life is a poignant reminder of the power each of us has to establish a legacy that will shape families, influence cultures, and ultimately change the entire world. This book is a gift. Read it and then go and establish a legacy of your own." Jackie Green is the co-founder of the Museum of the Bible, with her husband Steve. She has assisted in the launch of the Museum and its development efforts in various areas. She’s also a founder of Women of Legacy—an effort to help women discover and leave a legacy. She has co-authored two books: This Dangerous Book (with Steve Green) and Only One Life (with her daughter, Lauren Green McAfee). 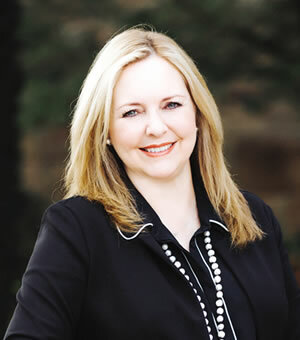 Jackie is actively involved in a variety of philanthropic endeavors, including distributing Bibles, helping children find their forever homes through adoption, and serving on the advisory board of a crisis pregnancy center, as well as serving on the board of a private Christian school. In 2013, she received the Eagle Forum Homemaker of the Year Award. She’s the mother of six children, and grandmother to four (so far!). 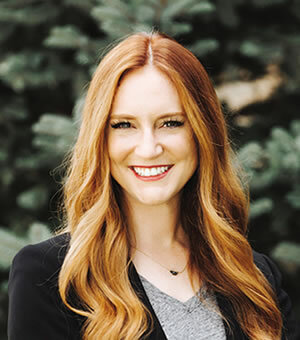 Lauren Green McAfee is a speaker, writer, connector and coffee enthusiast with a heart to engage others in the Bible. While pursuing her graduate degrees in pastoral counseling and theology, Lauren worked for her father Steve Green as he founded Museum of the Bible in Washington, DC. Today Lauren works for Hobby Lobby as Corporate Ambassador, and is pursuing a PhD in Ethics and Public Policy at Southern Baptist Theological Seminary. Lauren and her husband Michael live in Oklahoma City, Oklahoma. Connect with Lauren at laurenamcafee.com. Bill High is a forward-thinking entrepreneur with over fifteen years’ experience running a nonprofit. Having lost his own father at age 12, Bill deeply understands the need for strong families and lasting legacies. Today his mission is to empower families in building legacies of generosity. He specializes in coaching families, individual givers, and financial advisers regarding biblical generosity and charitable giving. 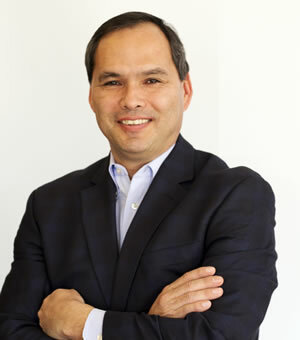 After graduating with a degree in law from the University of Kansas and building a successful career as a lawyer, in 1999 he left the law firm to embark on a new adventure—becoming the CEO of National Christian Foundation Heartland, the largest affiliate of a billion-dollar nonprofit that ranks 9th in the U.S.
Bill and his wife Brooke have been married since 1987. As the proud parents of four children and grandparents of two grandchildren, they love building their own family legacy. You can learn more about Bill at www.billhigh.com. LEARN HOW TO BECOME A WOMAN OF LEGACY TODAY!